For William Hall, however, it&apos;s a bus. Or, more accurately, a caravan of buses. After spending months fundraising and weeks planning, organizing and coordinating one of the largest and oldest Independence Day programs in the nation, it&apos;s the sight of buses rolling in, delivering performers, that sparks his excitement. "These aren&apos;t rinky-dink school buses," Hall says. "Some of them are really impressive. The Fralinger String Band, for example, comes in two big tour buses. I see them all swing into the drop-off point every year, and I think, ‘Oh boy! The parade is almost ready!&apos;"
Hall is Public Relations/Media Director for the Greater Glenside Patriotic Association, the nonprofit organizer of a full day&apos;s worth of patriotic pomp that is so comprehensive, it takes over part of two Montgomery County Townships - Abington and Cheltenham - for the entire day. "Our celebration starts off with a We Love America Children&apos;s Program. At 10 a.m., a parade of youngsters starts off for Renninger Memorial Park with their decorated bikes and strollers. 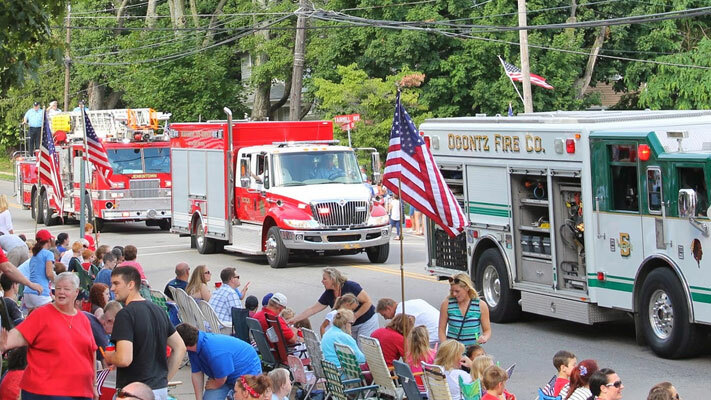 It&apos;s not uncommon for us to have 2,000 kids in that parade." Once the battalion of bikes has reached the field, it is followed by a series of field and sports events. "It&apos;s things like sack races and three-legged races. There are medals," Hall states. "We then feed every participant - and a few parents," he laughs. "It&apos;s usually something like a hot dog and an ice cream cup. But still, everyone who is there gets something - and that&apos;s at no charge." 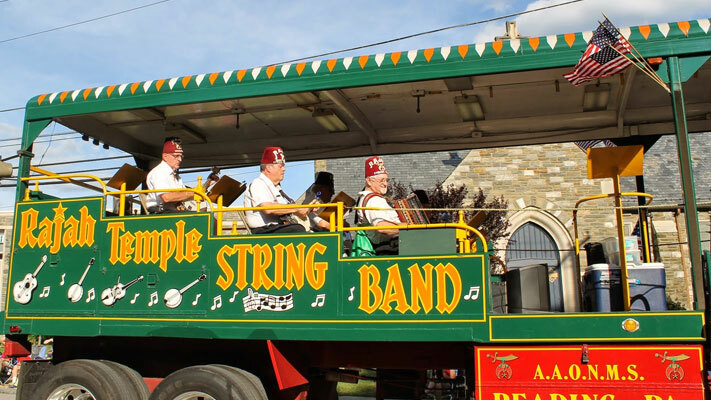 At 4 p.m., the "Grand, Glorious Patriotic Parade" starts its 1.5-mile route from the North Penn 676 VFW Post toward Renninger Memorial Park. The 2015 edition marks the community&apos;s 112th. Hall and his fellow volunteers are understandably "...very proud of this parade." With good reason: Part of the effort in maintaining its high standard, according to Hall, is a healthy mix of marchers. Participants are vetted closely to ensure, for example, that not too many of one element (firetrucks, Mummers, etc.) overshadows the others. They also watch the crowds and gauge reactions, ensuring that perennial favorites remain in the formation. 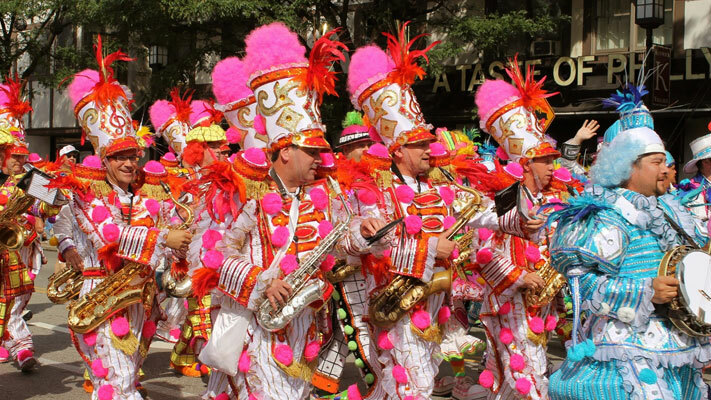 Popular performers include the Caesar Rodney Brass Marching Band; The Philadelphia Freedom Band, made up of LGBT musicians; the Drum & Bugle Corps from Berlin, NJ; and the Rajah Temple String Band - as well as the award-winning Fralinger crew. The parade also features an international flavor. "We invite the Caporales San Simon, a group of 300 marchers from Bolivia," Hall says. "But they really don&apos;t march. 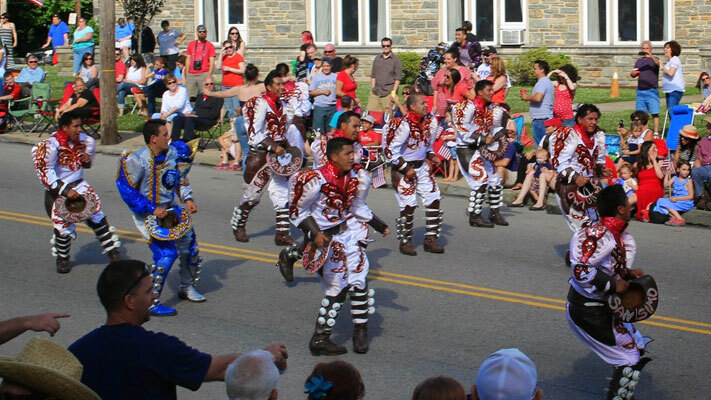 These people dance down the entire parade route." Organizers also ensure ample representation of fire, police and first-responders, as well as veterans and even groups of Civil War reenactors. I ask Hall for the primo viewing spots. "There is a reviewing stand," he replies, "at St. Luke&apos;s Evangelical Roman Catholic Church at Easton and Fair Hill Avenue. It has plenty of seating. Other popular spots include the New Life Presbyterian Church at Jenkintown and Easton; the stretch of Easton Road to Keswick Avenue; and the turn at Easton and Waverly Roads." Post-parade, the anticipation builds for Act III of this July 4 jolliness: The America the Beautiful Aerial Fireworks at Abington High School. This nearly half-hour of shells and color draws upward of 20,000 spectators to the campus. Smaller clusters of fireworks fans gather at the Standard Press Steel Company in Jenkintown and several fast food parking lots on Easton Road, according to Hall. Hall&apos;s involvement in the Glenside celebration came from his background in the pyrotechnics industry. At one time, he was responsible for some of the fireworks at Veteran&apos;s Stadium, particularly the volley that would accompany a home run. Knowing this background, a county commissioner solicited his help back in 1997, and he has been an integral part of the committee every year since. He knows from experience how to hype a fireworks show - not that this one needs it. 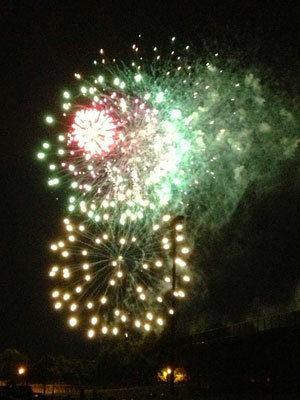 "At 4 p.m., I&apos;ll say to the fireworks presenter: ‘Shoot up a rocket or two.&apos; And bam, and the crowds react. And at 6 p.m., we&apos;ll do it again." By full dark, it&apos;s time to get started for real. The secret to staging a good fireworks show? Hall says it&apos;s the pacing. "We don&apos;t want a fireworks show that goes boom... boom... boom..." he states. "We want a fireworks show that goes boom-boom-boom-boom. No pauses." When the last shell illuminates the sky, Hall will head home to his wife, exhausted at the prior 18-hour day and the months of work that he and his committee did. "I&apos;ll say to her, ‘I can&apos;t believe I just spent all those hours...,&apos;" he says. "And she responds, ‘Oh, but you love it!&apos;"
Once the last shell has burst forth, instead of intrepidly facing the traffic home, why not grab a nearby hotel room and make Independence Day Weekend a full-on vacation with an overnight or two. Our VFTCB website can point you to a memorable hotel, inn or B&B.